Find the latest and greatest in-stock inventory for sale at Crossroads Motorsports. 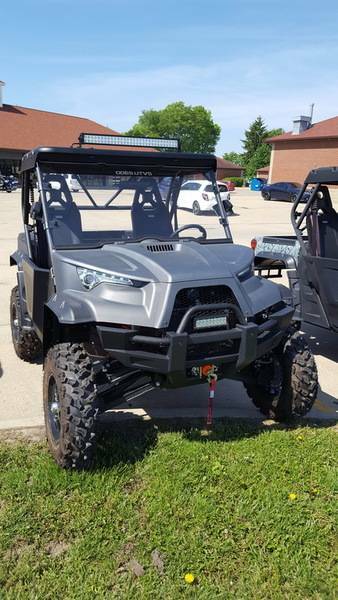 We offer a great variety of ATVs for sale and UTVs for sale. We also proudly offer motorcycles for sale, scooters, go-karts and more for sale! Click the logos below to look at the full in-stock inventory for one manufacture. In need of financing? Look no further! We offer a secure online financing application for you to fill out before you stop in to complete your purchase. That way, you’ll spend less time in the dealership and more time riding.